Jim attended the University of South Carolina and received his Bachelor of Art in Governmental and International Studies in 1975 followed by a Master of Public Administration. He then went on to attend the Norman Adrian Wiggins School of Law at Campbell University and received his Juris Doctor in 1984. 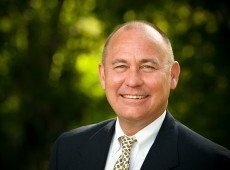 After being licensed to practice law in South Carolina in 1984, and some time spent as an assistant solicitor handling criminal prosecutions with the Charleston County Solicitor's Office, Jim has been with Clawson & Staubes, LLC since March 1986. Jim practices in the area of civil litigation, with focuses on construction defect defense and insurance coverage issues. He has tried numerous cases to jury verdict in both the state and federal courts of South Carolina. Jim grew up in Charlotte, NC then moved with his family to South Carolina after high school graduation. He claims his most significant accomplishment there was meeting fellow law school classmate and future wife, Beth Marshall. They currently reside in Mt. Pleasant and have a son and daughter who are both living with their spouses in Greenville, SC and Roseberg, OR. LAW SCHOOL: Campbell Law Review, Notes and Comments Editor, Author of Note; Campbell Law Observer, Case Summary Writer; Academic Honor's List; Moot Court Board; National Moot Competition, Regional Team; Am. Jur. Book Awards, Criminal Law, Conflicts of Law; Calhoun Adovcacy Award; Research Assistant; Phi Alpha Delta, Law Fraternity. GRADUATE SCHOOL: University of South Carolina Presidential Intern Program Nominee, 1978, Research Assistant.